Located in the Southwest of France, surrounded by the Pyrenees Mountains, stands Le Petit Cafe Cygne, an old French farmhouse renovated to house a coffee house, bakery, pub, bistro, and micro-winery. It was supposed to be just a coffee house but morphed into what is now pictured. What can I say? I was inspired. 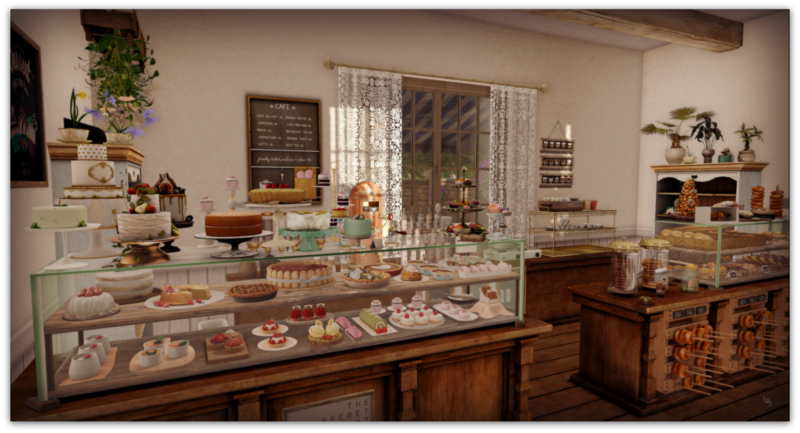 The bakery is outfitted with a variety of bread, pastries, and decadent desserts, along with a variety of coffees, tea, and hot chocolate. There is even seating for child avatars. My inspiration for the micro-winery is from a local one in my neck of the woods in 1st. 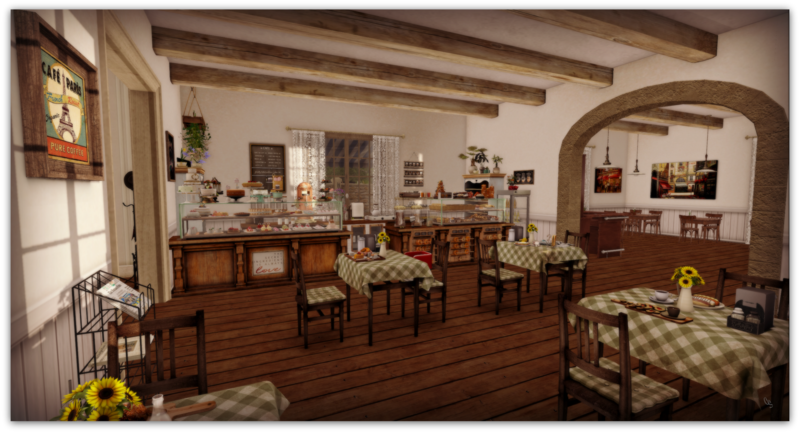 I pulled out everything I could find in my inventory to furnish the cafe. Even shopped for a few new items. That last remark is an understatement. Most of the build is interactive. 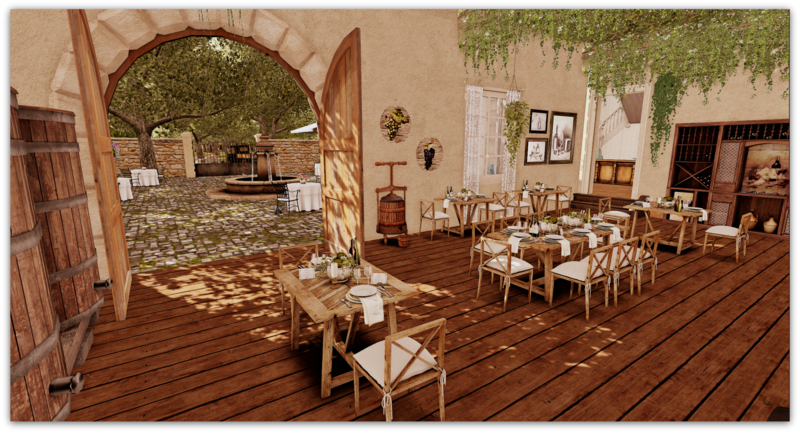 The outdoor dining and micro-winery have menus for a complete dining experience, and the pub tables do have a few games you can actually play along with drinks. 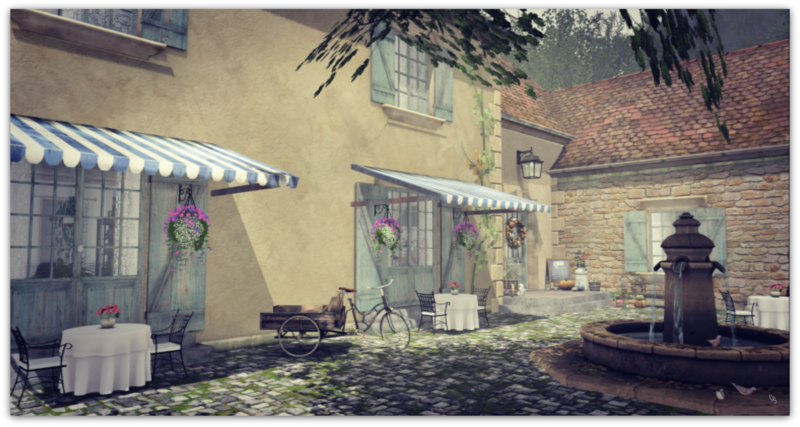 Le Petit Cafe Cygne is open Wednesday thru Sunday. Stop by for an espresso and pastry, or maybe a mug of hot chocolate and a slice of cake is your desire. Bring a date and have lunch or dinner for two, or try out our wines in the micro-winery. It’s all waiting for you here. Whew! Just put a fork in me as I am done!